If you’re thinking about taking a holiday, you may wish to consider the benefits that holidays in St Lucia have to offer. Perfect for those of you who are in need of sun, sea, sand and a little TLC, St Lucia is the perfect vacation destination for people looking to be pampered on their holiday this year. Popular with visitors from around the world, St Lucia is a Windward Island situated in the eastern region of the Caribbean sea, northwest of Barbados. Having achieved independence in 1979, it is now a member of the Commonwealth of Nations with a political system which mirrors that of the UK. The geography of St Lucia is volcanic and mountainous, with verdant forests occupying much of the island’s landscape. Most famously, the island is home to the world’s only drive-in Volcano, and several sulphur springs which, it is claimed, boast healing properties. In addition, St Lucia is also home to numerous public and private beaches, consisting of soft, golden sand – perfect for sunbathing. The Soufrière springs on St Lucia are what are referred to commonly as the ‘world’s first drive in Volcano’. Located on the south-western side of the island, the sulphur springs were created by an upheaval of lava over 400,000 years ago. These days, the springs attract tourists who number in their thousands, every year. However the sulphur springs are not suitable for bathing in, and visitors are no longer allowed to walk up to the edge of them, for safety reasons. For those of you who like the idea of getting muddy, further down from the springs there are places in which temperatures become bearable enough for bathing. However this kind of bathing won’t get you clean, as the water is filled with mud and sulphur deposits which are said to have healing properties. 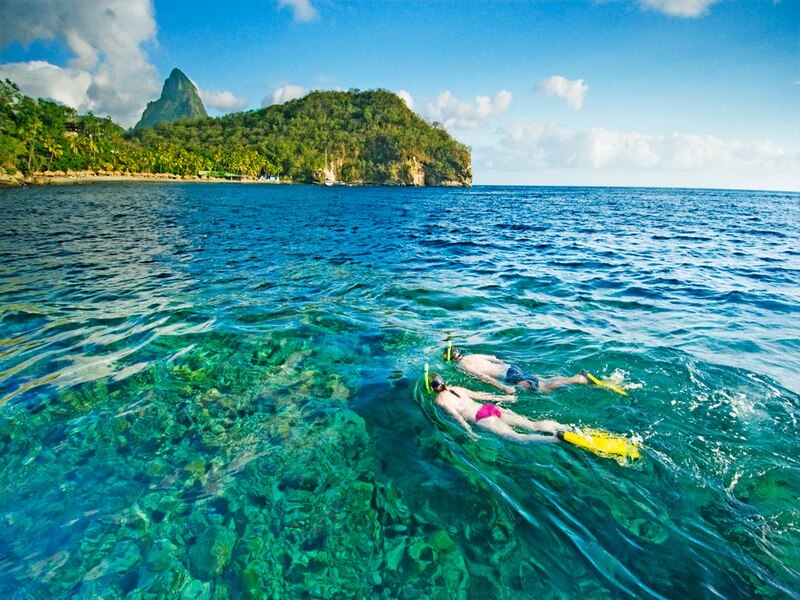 Accommodation in St Lucia is plentiful, and of a good quality. Choices range from basic hotels to 5* luxury spa resorts and private beaches, so you’re sure to find something to suit your budget when you book a holiday to St Lucia.